Hot drinks & snacks included. This workshop is limited to just 20 participants. £10 per person. 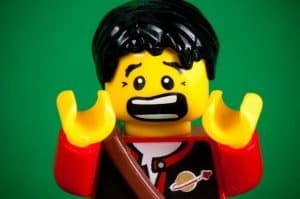 Do you suffer from Anxiety? Low Self-Confidence? Struggle with Worry? This Workshop is an introduction to Anxiety Freedom Techniques that can successfully help to reduce or conquer Anxiety, build Self-Confidence and change Worry to Positive Thoughts. bring on feelings of self-confidence on demand. 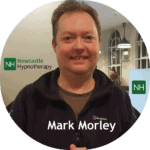 This Anxiety Freedom Workshop will be led by Mark Morley, a specialist in anxiety & stress issues with Newcastle Hypnotherapy. The Wednesday Workshops are non-profit events that share life-enhancing skills including Self-Hypnosis, Neuro-linguistic Programming and Emotional Freedom Technique. To join and learn these powerful skills to help with anxiety simply book your place below. Places are limited and accepted on a first come first served basis. You can read client reviews below. To learn about the other events simply join the newsletter. Would you like to work with Mark privately to conquer your anxiety, stress or low self-confidence issues? You can arrange a free phone consultation to discuss your anxiety issues and explore the options that are available to you. Mark also works with many other issues and challenges. To arrange your consultation call 07568 455 809, leaving a message if required. You can also book your free consultation online here. What did Dr Andrew say about our Anxiety & Stress Sessions?